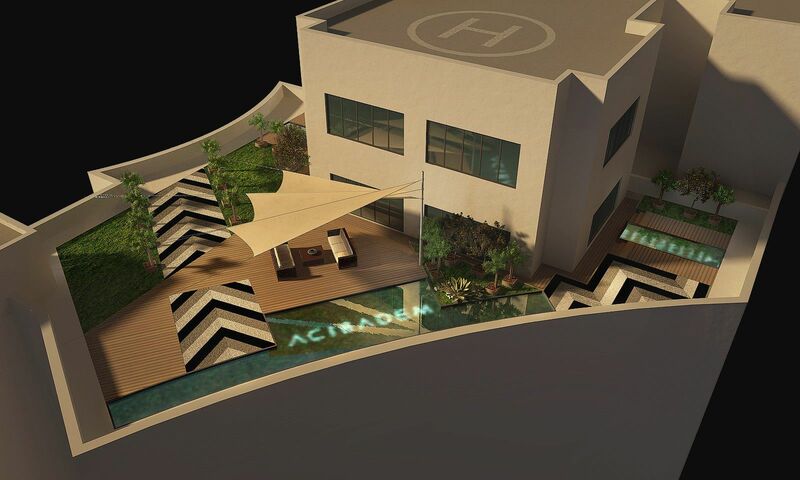 The project is located at the top floor of the Acibadem hospital in Fulya district. 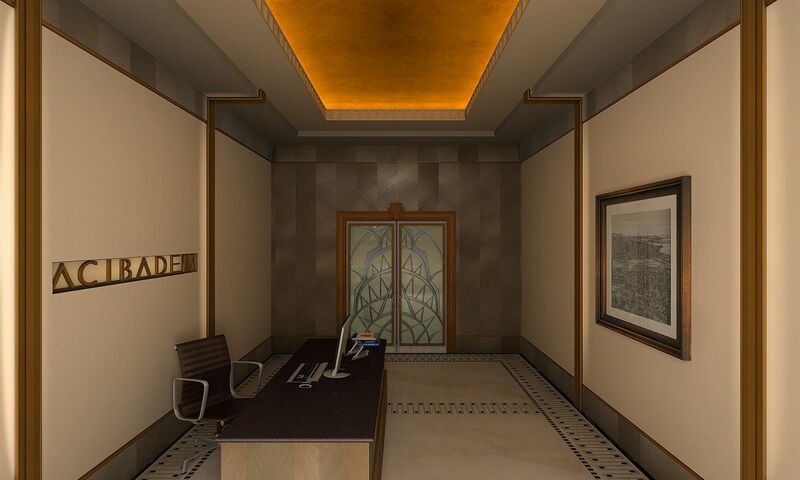 The purpose of the design is to create an executive office for the general manager including personal bathroom, praying area, mmeting room and resting area. 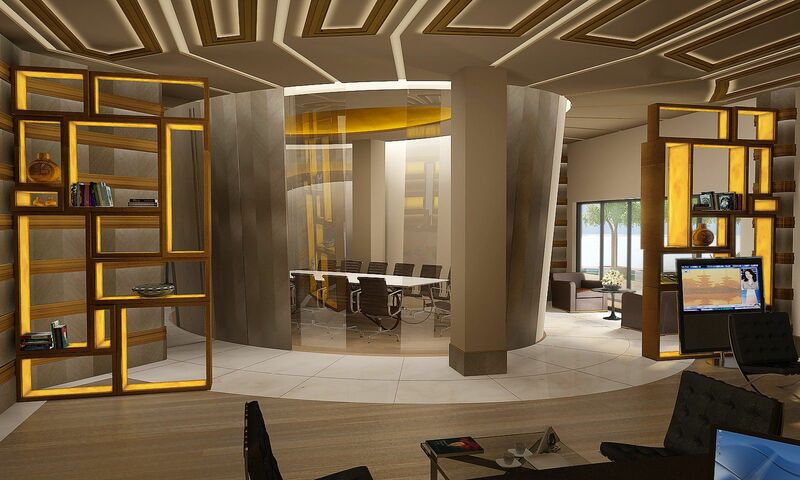 The revolving shell of the meeting room that is imbedded within the office space is the main feature of the project. 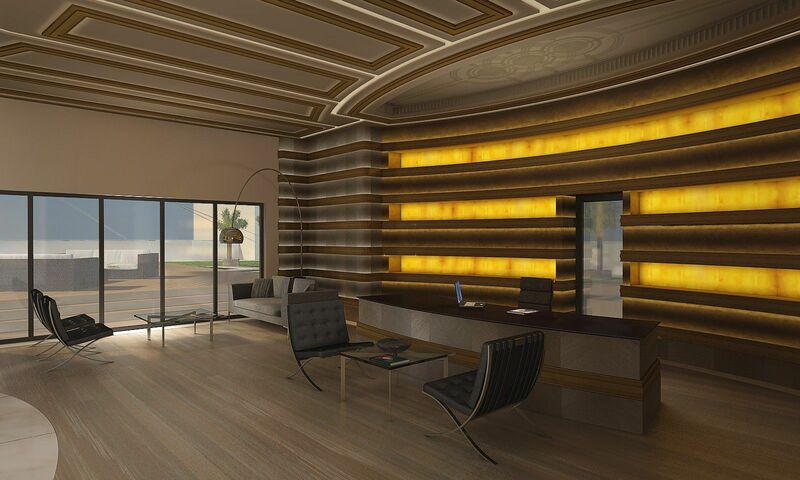 The general contemporary art deco style can be seen all over the project. The rather outdoor terrace roof is also transformed to an outdoor garden with original landscaping and reflection pools.